In Australia the establishment of a green tea industry based on tea plants from Japan stems from research conducted in Tasmania in the 1990s. 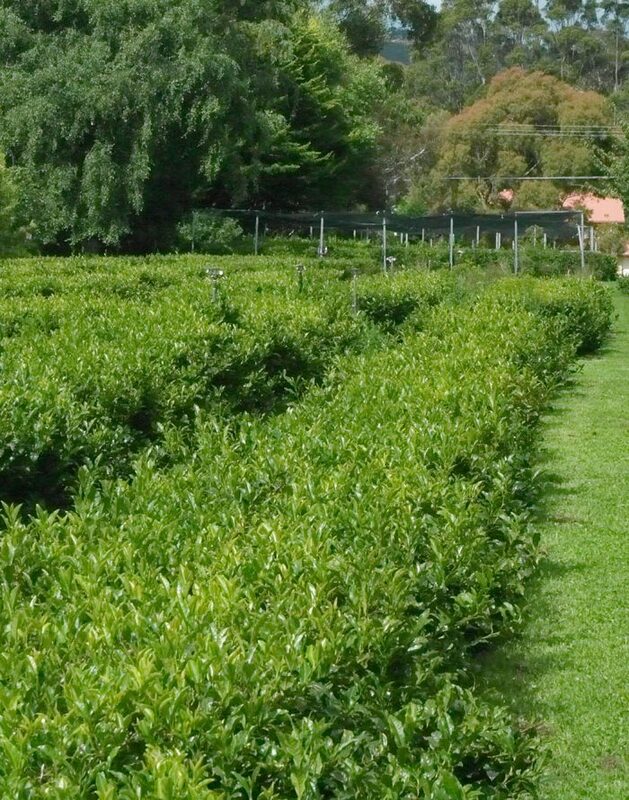 The state Department of Agriculture imported three Japanese green tea cultivars in 1990 and after three years of plant propagation in quarantine, five trial sites were established on farms around Tasmania. Once producing green tea, large tea companies from Japan were invited to Tasmania to observe the trial plots and they were encouraged to establish an industrial green tea industry in Tasmania. Unfortunately none of the tea companies that visited established their tea fields in Tasmania, but instead established their new operations in Victoria and New South Wales. As part of the Tasmanian research team I fell in love with the crop and subsequently established our own small commercial green tea fields in the mid-1990s. We were harvesting, processing and marketing our tea around Tasmania by 2000. 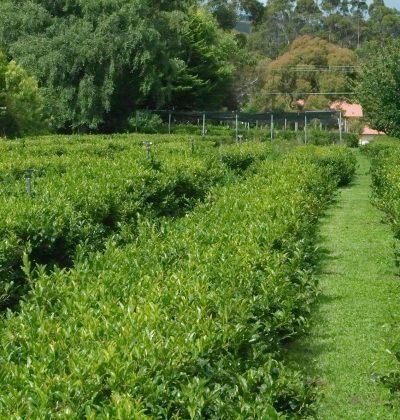 By the mid 2000’s this experimental planting demonstrated to us that quality green tea could be successfully produced and marketed in Tasmania and we embarked on an expansion programme that trebled our production area by 2010. Our vision for tea in Tasmania is for numerous small producers, say with less than a hectare, all producing niche specialty teas by potentially using processes they have developed here rather than adopting methods, equipment and practices developed overseas. To this end we are supplying potential producers with propagation wood and assisting them in appropriate crop management and processing technology. It is hoped that one day the industry will be big enough to support a tourism ‘tea trail’ as an alternative to, or in conjunction with, the wine trials that have established around the state. We’re proud to have once again been privileged enough to write for Café Culture Magazine.